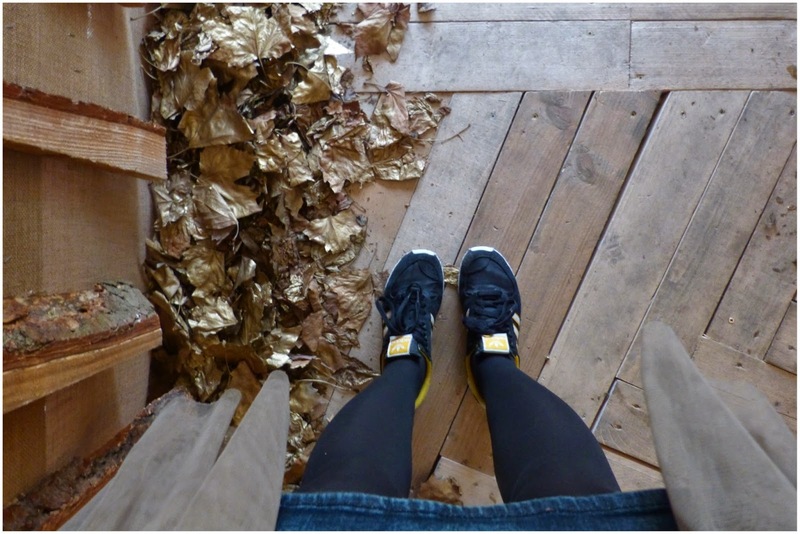 A few weeks ago, I found myself trekking across London to explore a pop-up festival in East London. Yep, I just wrote that sentence and it still sounds a bit unreal. 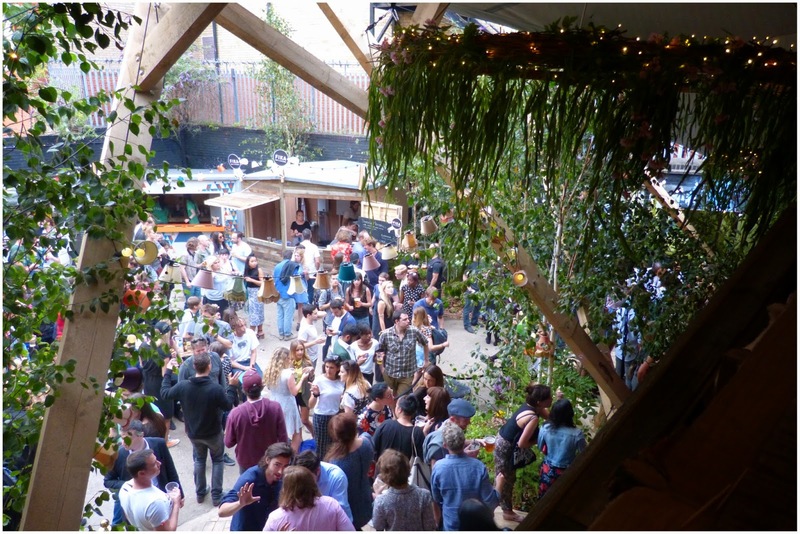 Behind Dalston Junction station there is a break in the concrete and brick, where a three pronged tent has been set up surrounded by greenery and beautiful woodwork. Not what you'd expected in the middle of a busy city really but that's the beauty of London town. Welcome to the Urban Forest. A month long, free (yes, FREE) festival sponsored by the good people of Kopparberg. 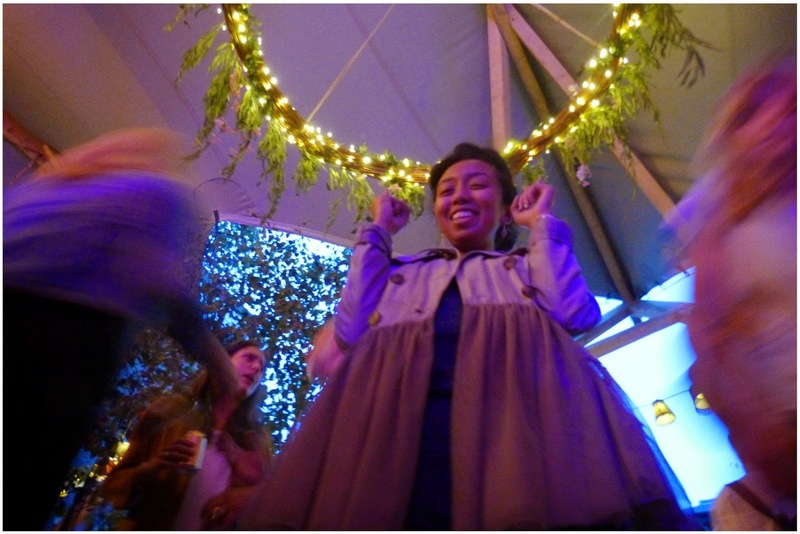 First off, don't do what Ashleigh and I did and queue for the Dalston Roof Gardens; it's definitely not there. Go around the building and you will notice the familiar festival warning signs: big groups of people in comfy colourful clothes, portaloos and the yellow vests managing the entrance. In a big city, festivals are usually held in big parks or just outside of London or not in London at all, so this is a little different. On arrival, we got our wristbands and were pointed in the direction of the VIP bar [so fancy]. We were a bit late, the VIP bar was at capacity and it was a one-in-one-out policy. Ashleigh and I decided to wait patiently [helped by the fresh Elderflower & Lime cocktails we had just been handed] until it was our turn. Now, I'm quite an impatient person - I can't help it, I'm fidgety - particularly when it comes to queuing. Luckily, as the Urban Forest is quite an intimate festival everyone is nearby so people watching and style spotting became a fun game. 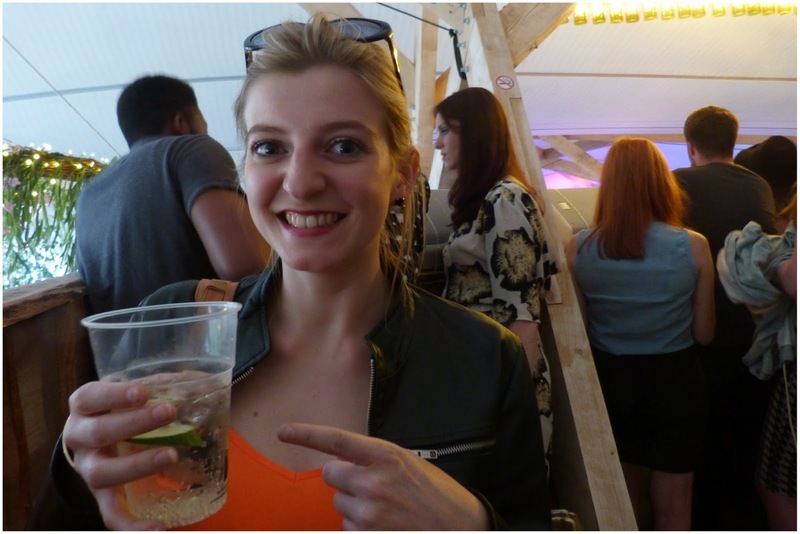 Then suddenly, Ashleigh spotted Sophie Ellis Bextor and hubby coming down from the VIP area. Wait a minute, am I the one-in for SEB the one-out? Get out of here! Celebrity goggles off, we calmed down and headed up into the mezzanine. The VIP area itself was packed, and quite warm - we were hanging in the top of a tent after all [school doesn't lie kids, heat definitely rises]. It was a relaxed sitting area with good views of the stage if you were able to get a good spot. 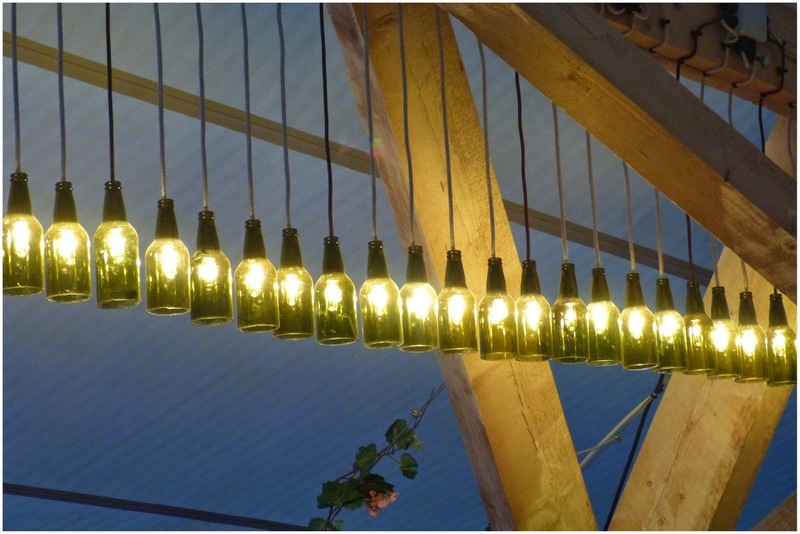 I really liked the general forest wood feel with the added touch of quirky lighting [one of which was a line of Kopparberg used bottles turned into a string of lights]. SEB managed to get a good place when she came back up. We didn't though so I decided to take some super subtle pictures of Ashleigh and her cocktail. Whilst trying to get snaps, we were offered a traditional Swedish nibble from Fika: elk meatballs. Neither of us were a big fan but it's always good to try something new! I suddenly got the hunger and was lured out of our mezzanine by the smell of jerk chicken. 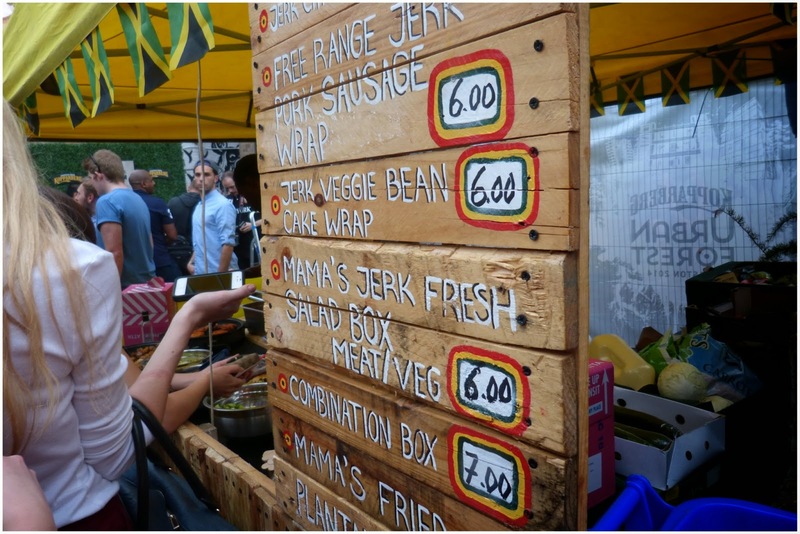 Although I knew what I wanted, we decided to browse the food stalls to give them all a fair chance at winning our attention: there were more Swedish elk balls, chicken wings, pulled pork baps, [didn't notice veggie options] and then we were back at the jerk sausage and chicken of Mama's Jerk Station. 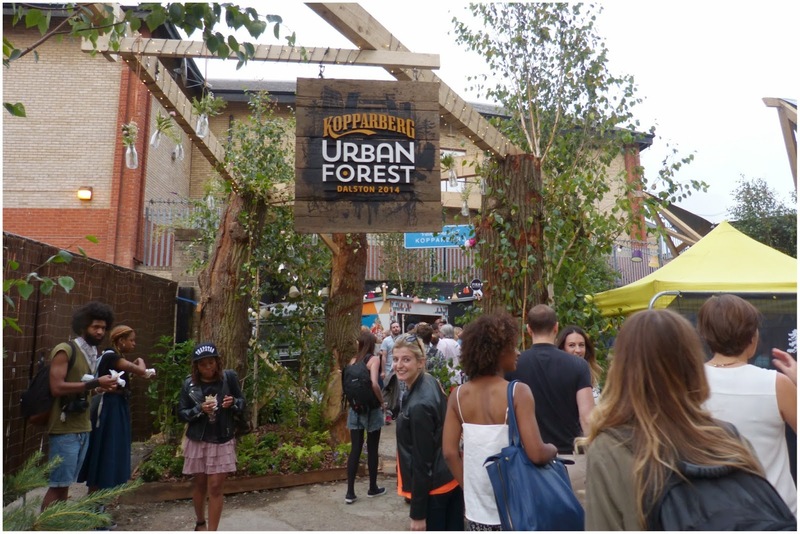 Although the Urban Forest does have a Scandinavian edge with the deliberate food and artist choices [understandable with Kopparberg being Swedish born and bred], the Jamaican jerk chicken stall was very popular! 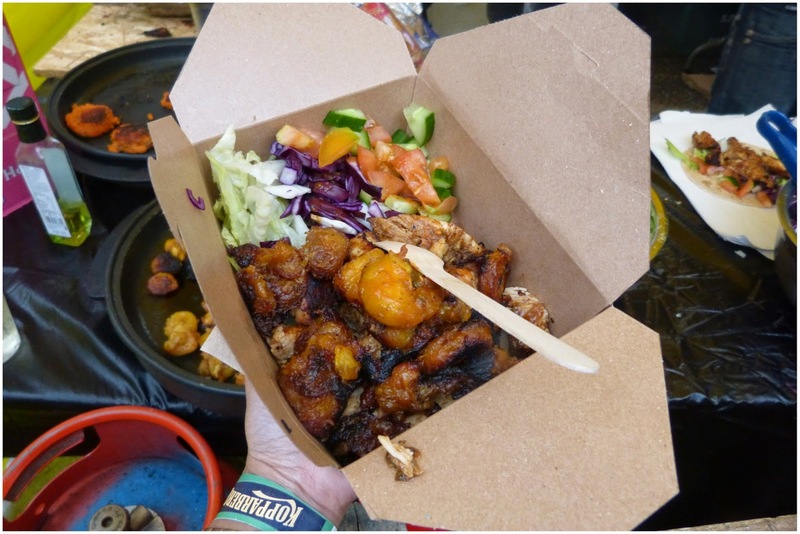 I ended up going for a delicious box of jerk chicken, salad and plantain. NOM. Ashleigh and I felt more comfortable in the public main area of the Urban Forest, I enjoyed eating my food in amongst everyone, chatting, and the atmosphere was buzzy. I kept noticing everyone's style and felt a little out of my depth. 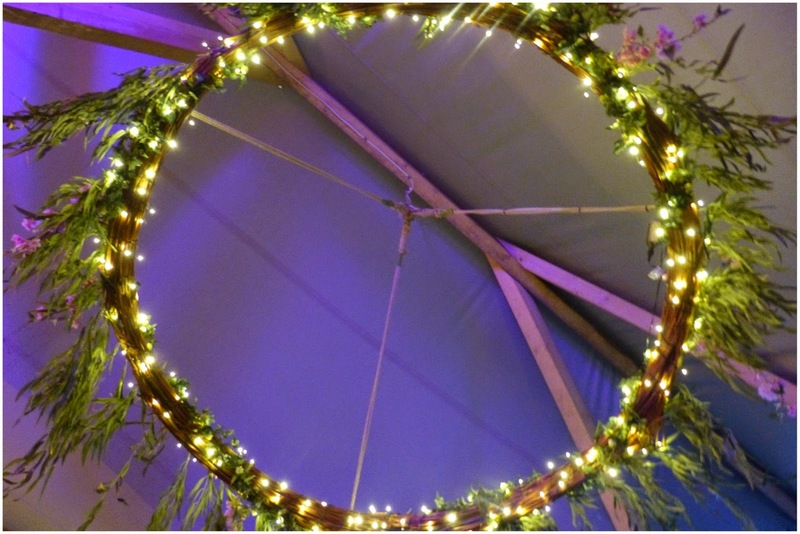 We also later found that the vibe inside the tent was very different to outside. Inside, it was was more chilled with everyone having a little dance and drink. Outside, it was the buzz of friends chatting away, eating and drinking. 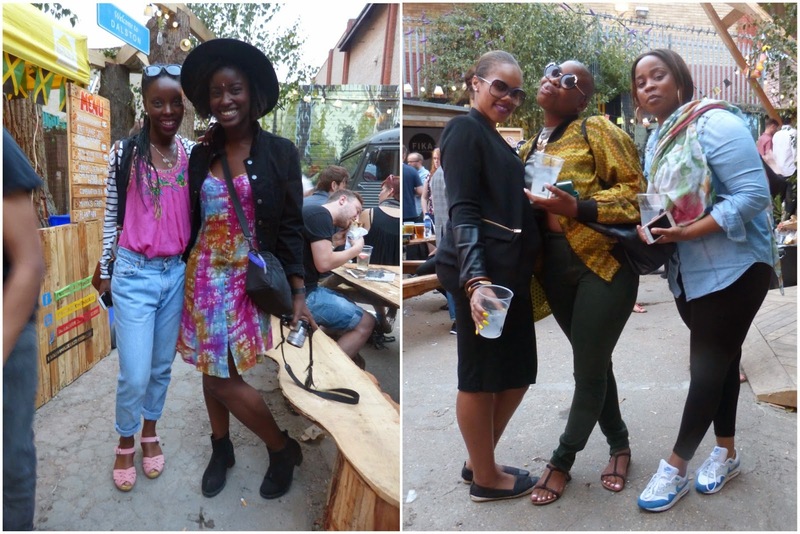 Some of the ladies were dressed on point too so I had to take some snaps. 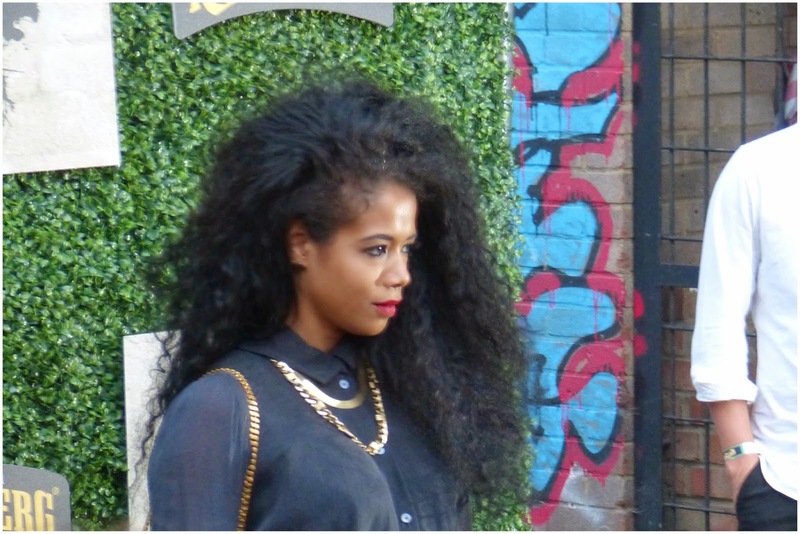 Kelis was the surprise headliner for the first day of Urban Forest. Though her set was short [about 30 minutes], she was worth it. She covered all of the classics as well as some of her new releases: Caught Out There, Trick Me, Milkshake, 4th July & Jerk Ribs. My favourite being the Madonna Holiday and Kelis Milkshake mash up - so fun. Now she's even bigger on her cooking, with her own mobile food truck in the US and naming her newest album FOOD makes me feel like I'm not going to stop admiring her anytime soon. What a way to say "I'm just going to do what I love". Aside from Kelis, I think the Urban Forest line up gives you the opportunity to hear a variety of upcoming artists. 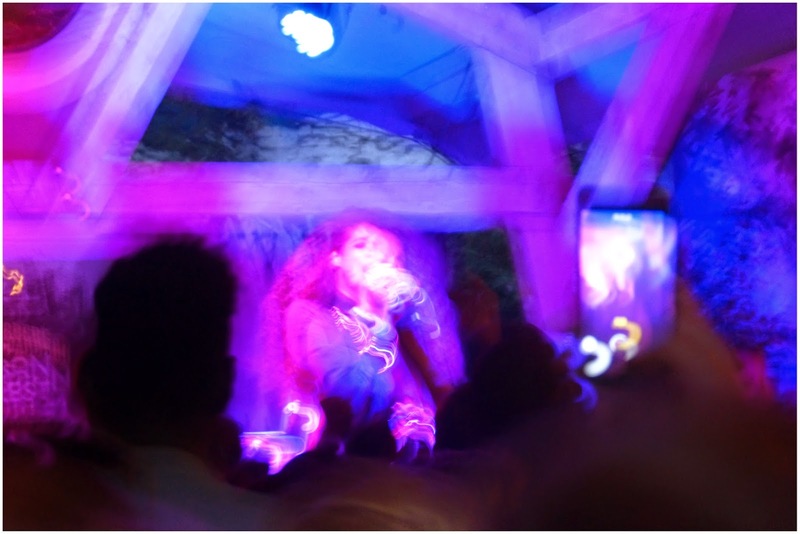 I hadn't heard of a lot of the bands but [supporting Kelis] we caught the end of Danish singer-songwriter Nabiha who fitted right into the festival's chilled atmosphere. Check her music out here. As a concept, the Urban Forest is a fun one. I didn't really have any expectations of what it would be like beforehand but can now say it is definitely worth a drop in. Particularly if you live in and around Dalston [no excuses really]. 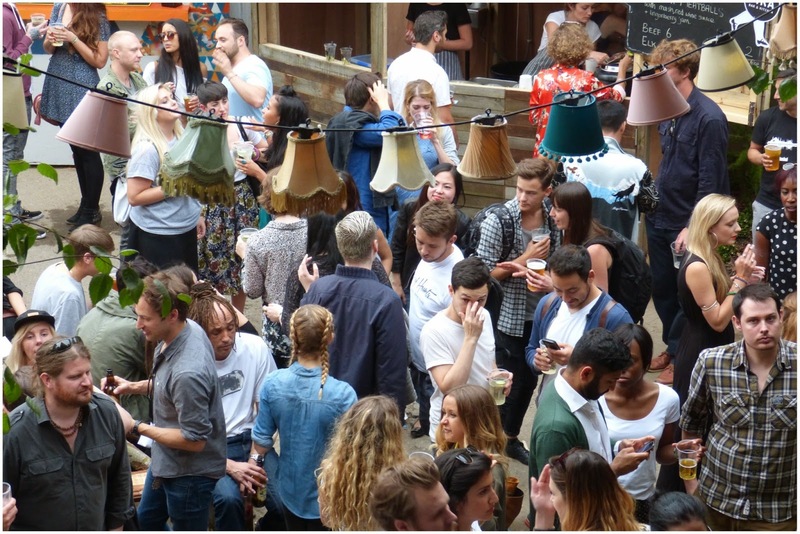 For such a small space in London, it offers a good variety of food, Kopparberg-styled cocktails and music, and best of all completely for free. Ashleigh and I ended up dancing away to the resident DJ for the rest of our evening and thought it was a good evening out. 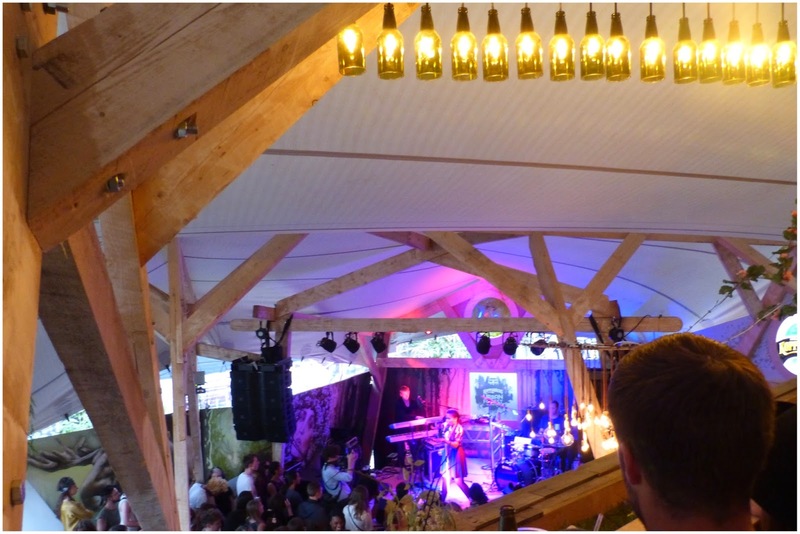 Massive thank yous to Chris of tikichris.com for passing on the invite and to the Kopparberg team for showing us what a Scandivanian-London good time can look like.